When we think of Valentine’s Day we often focus on foods that are pink and red, but in reality sometimes just the small and simple things really let someone know you care – like making a batch of their favorite cookies. 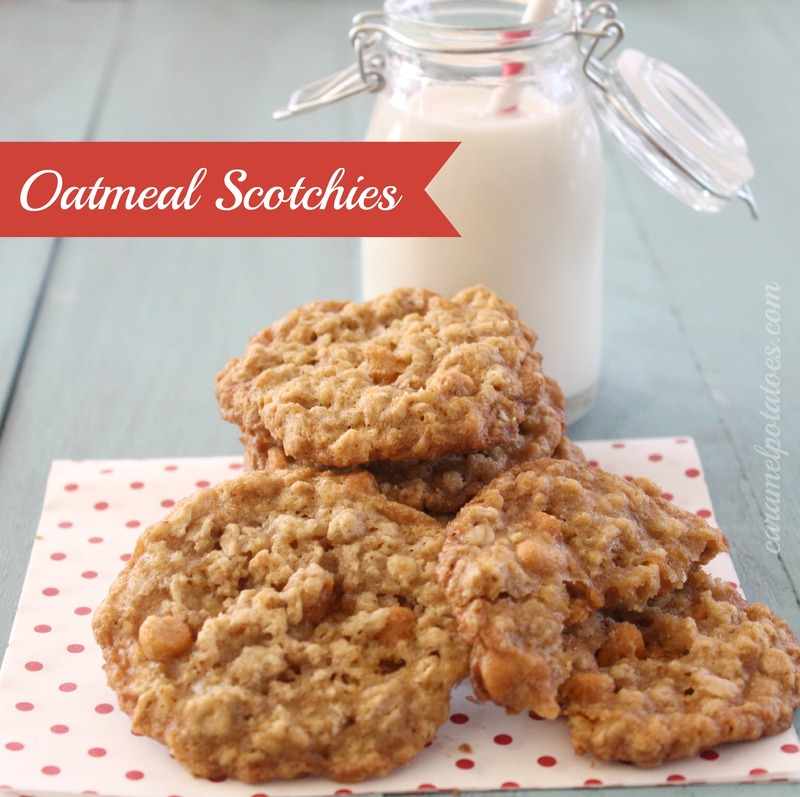 The Oatmeal Scotchies are my son’s favorite; he had a Sunday School teacher who would bring these cookies for the class. After he moved away my son would always rave about them being the best cookies in the world. For years he asked me to get the recipe, so finally I decided to surprise him for his birthday. I contacted the teacher’s daughter to see if she had his recipe. She just laughed and said, “it’s on the back of the Nestle Butterscotch chips!” Who knew it would be that easy! Easy or not, these classic cookies are a real treat and still his favorite. This is one you’ll want to keep at the top of your baking list. Preheat oven to 375° F.Combine flour, baking soda, salt and cinnamon in small bowl. Beat butter, granulated sugar, brown sugar, eggs and vanilla extract in large mixer bowl. Gradually beat in flour mixture. Stir in oats and morsels. Drop by rounded tablespoon onto ungreased baking sheets.Bake for 7 to 8 minutes for chewy cookies or 9 to 10 minutes for crisp cookies. Cool on baking sheets for 2 minutes; remove to wire racks to cool completely. Makes 4 dozen cookies. Who doesn’t love fresh-baked cookies? I LOVE butterscotch – can’t wait to make these! I love these cookies- need to make some soon!!! These look so good, my son would love them too! Can you make these into bars instead of cookies? Diane – I haven’t tried making this into bars, but I don’t see why it wouldn’t work – just keep an eye on it to check the time. Good luck – let me know!